Even trying to see the whole of Mumbai is overambitious. The financial capital of India is more than a handful for any one even the locals haven’t seen everything. But there’s no harm in trying. Streets dotted with colonial architecture, centuries old Leopold cafe and many more. Nevertheless Mumbai is super busy its a city which haven’t slept far the last century! So if at some point you decide to get out of it and go somewhere calm and quiet then here is the list. 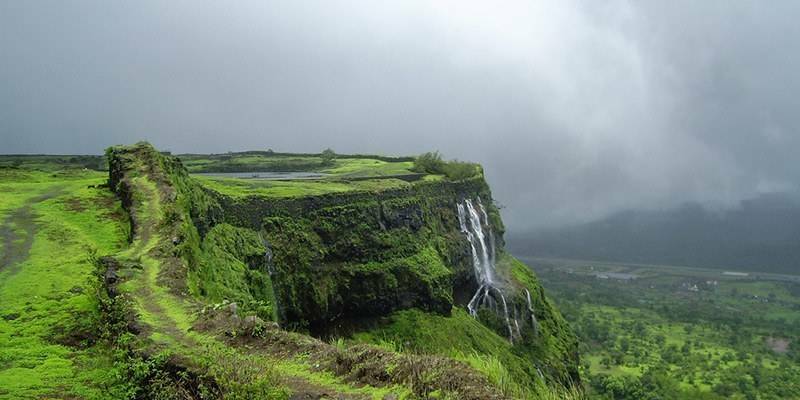 Hill station which is literally free of automobiles, the astounding Ajanta caves, Mahabeleshwar, amusement parks… get out of Mumbai and take a tread through them. Escape from the busy Mumbai and find some solitude and peace among the hills. 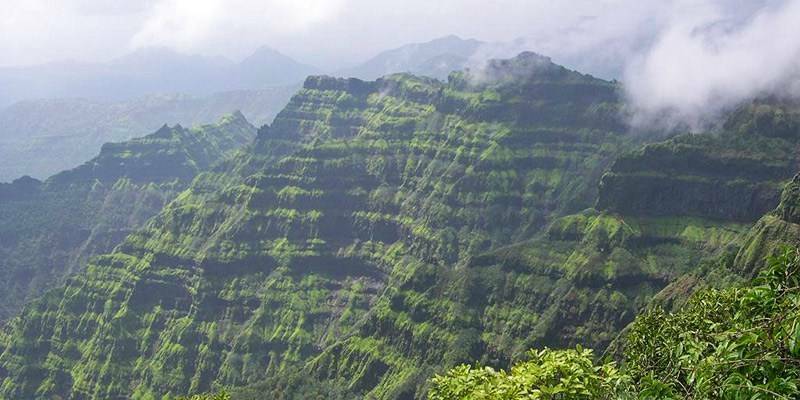 Lonavala and Khandala is one of the places where you will get lost in the astounding beauty of Mother Nature. 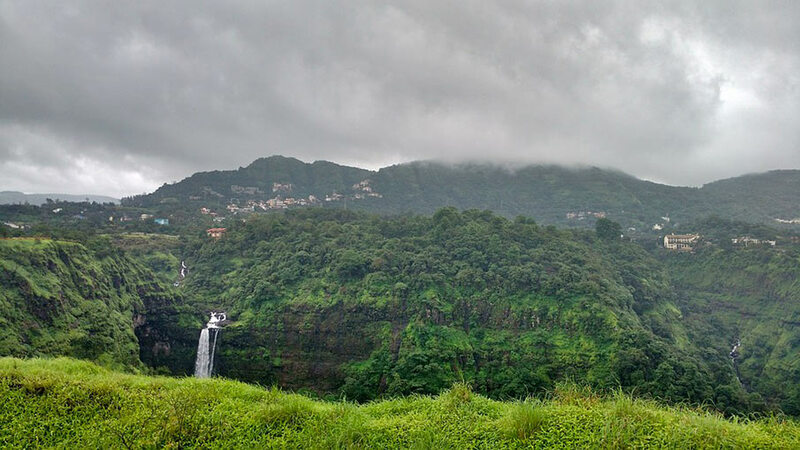 Lonavala and Khandala are almost 220 km away from Mumbai. Put aside at least a couple of days to see the beauty and inhale pure air which is scarce in the city. Trekking, camping, sightseeing whichever is your way of embracing nature this heavenly abode has it all. 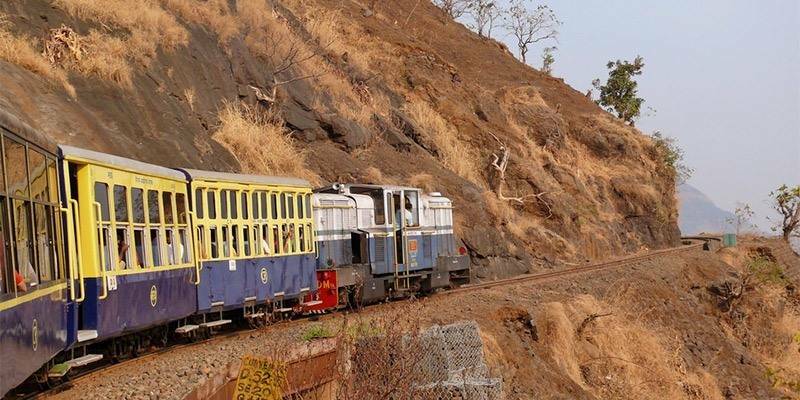 The one and only hill station in India which is automobile free. Enter this place and no vehicles running on any version of crude oil will bother you. Only rickshaws and horse rides will be there to carry you. Apart from this there is a 20 km long railway which crawls around like a snake through the mountain sides. Other than these, do I have to say more to convince you to pack your things and go there? 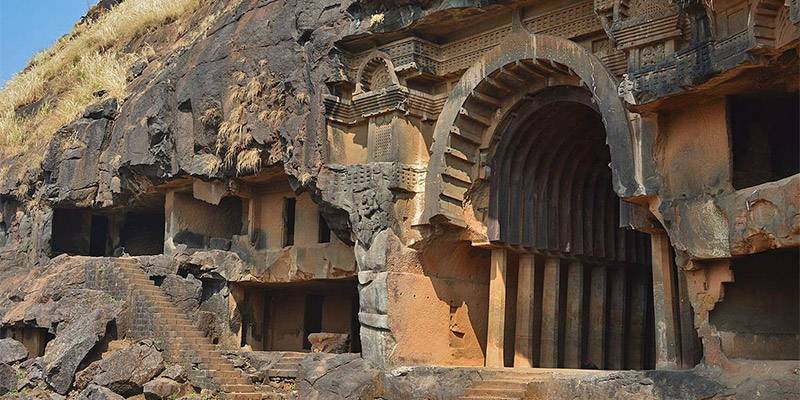 These 2000 year old caves will tell you a story. The story of mans thriving will power and skills which helped him creating some wonders like the caves itself. Bhaja caves are nothing short of a wonder, the question ‘How did they manage to do it?’ will be haunting you throughout the tour. Each and every inch of this creation is pure art and an enchanting experience. Another hill station which desperately needs 2 to 3 days in your itinerary, anything less than that to explore this place is a crime. Venna Lake, Elephant head point (edge of a mountain which looks like the head of an elephant! ), milky water of Lingamala Falls, Rajapuri Caves,Table Land, Connaught Peak, The magnificent mahabeleshwar temple and many more attractions to see and relish. Mahabeleshwar is not something you want to miss while you are in Mumbai. If there are some good things British done to India then discovering Ajanta caves is definitely one of them. If it wasn’t for the British colonel who went out on a tiger hunting party, who knows, these spectacular man made creation would be still under thick forest. 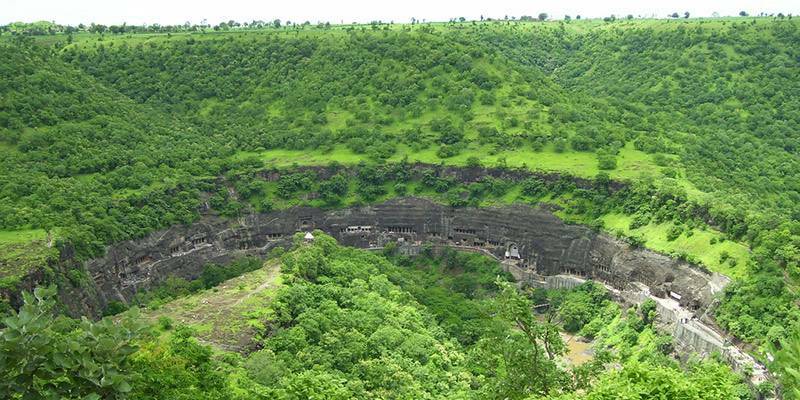 Ajanta caves don’t need further introduction to lure you into going there. It’s a great architectural beauty which has a reputation of always delivering better than the expectations. 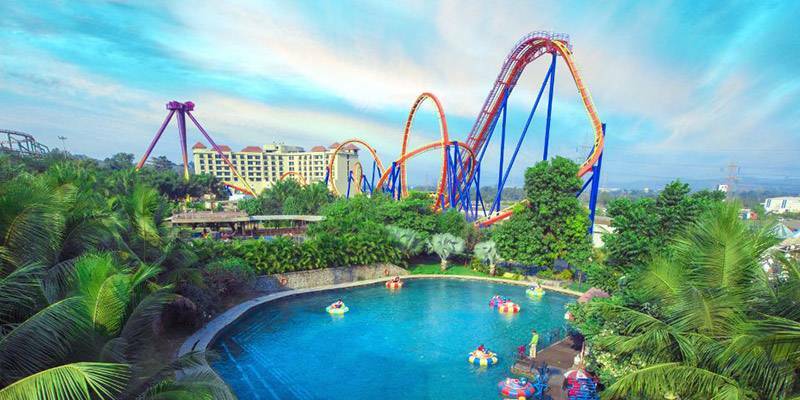 Set loose your adrenaline the moment you enter this park because of the wide variety adrenaline friendly rides. After a daylong adventure in Imagica it will be hard to let go of the goose bumps. Almost an average of 15000 people visits this park during peak season. Scream, shout, cry and plead while those rides push your heart beat and guts to the extreme. When all of this is over you wouldn’t’ve felt better or alive anytime before. Streets dotted with colonial architecture and vibrant life. 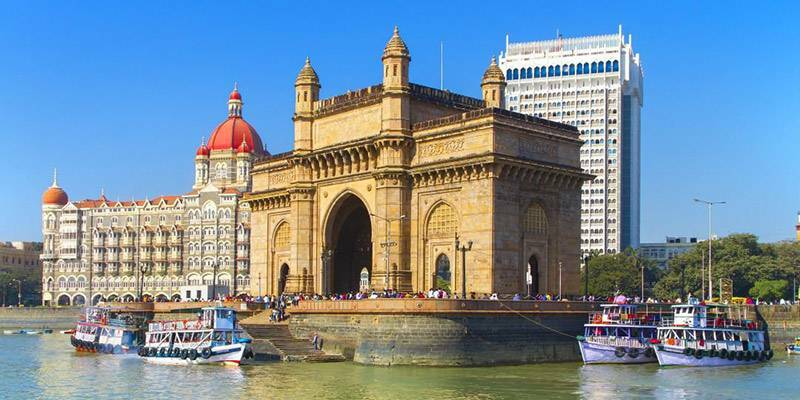 Mumbai, the financial capital of India has a lot of places up in its sleeve. Gateway of India, Rajabai Clock Tower – Big Ben of India, Marine Drive – Queen’s necklace, Victoria Terminus, Chowpatty Beach, Hanging Gardens, Haji Ali Dargah, andra-Worli Sea Link and many more. It’s a place where people from all over the nation coincide. Street food will give you choices starting from Kashmir to Kanyakumari. Make sure you hire an experienced driver to explore Mumbai otherwise there’s a chance your entire day might get lost in traffic.